The Winter 2019 course feedback period is Now Closed. Winners of the $500 Amazon.ca Gift Cards will be notified via their Western e-mail account. Student feedback is critical to the mission of the University. More information about how SQCT results are used is available here. The Winter 2019 Course Feedback Period is Now Closed. Instructors, Winter 2019 SQCTs Results Reports will be available in late May. Complete your Questionnaires for a Chance to Win 1 of 5 $500 Amazon.ca Gift Cards! 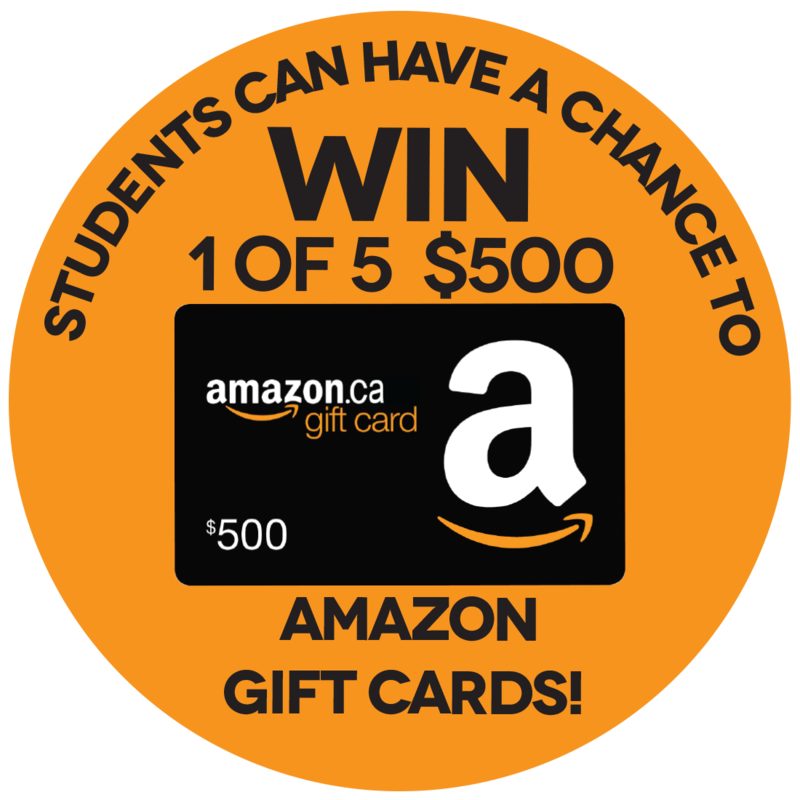 Western students who complete at least one Student Questionnaire on Courses and Teaching (SQCT) using the Your Feedback online system during the Winter 2019 course feedback period will be entered in a random prize draw for one of five $500 Amazon.ca gift cards. Each questionnaire completed using the Your Feedback online system in the Winter 2019 will count as one entry into the draw. The maximum number of prizes per term that can be won by an individual student is one. Amazon.ca gift cards must be used at Amazon.ca and cannot be used at Amazon.com or other Amazon websites. The winners for Winter 2019 will be drawn in late May 2019 Terms and Conditions apply to the SQCT Amazon.ca Gift Card Draw. Please click here for more information. What are Your Feedback Student Questionnaires on Courses and Teaching? 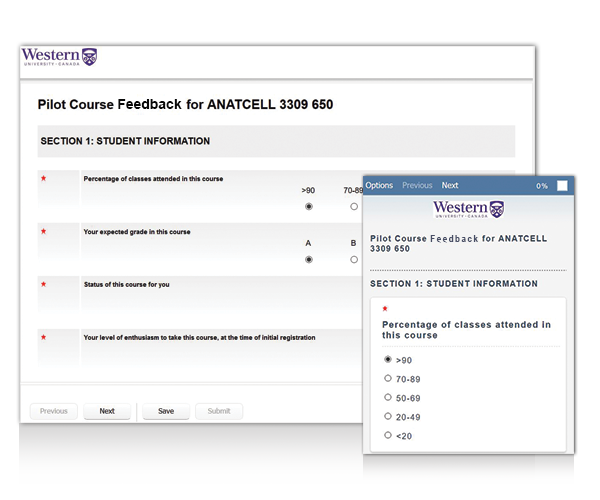 Your Feedback is Western's online system for administering end-of-course student questionnaires on courses and teaching. Filling out Your Feedback questionnaires is an important way for students to contribute to the quality of courses and instruction at Western. Powered by Blue, this information helps the Western community acknowledge outstanding teaching and courses, while also indicating where we could improve. It's also is considered in regular faculty review, including promotion and tenure decisions, and helps students select future courses. Your Feedback matters! Why are the end-of-course questionnaires moving online? Western is committed to minimizing its impact on the environment. Your Feedback will eliminate the approximately 225,000 sheets of paper per year previously used to administer the questionnaires. Once the evaluation period begins, students will be able to fill out their questionnaires when they want and where they want. Your Feedback can be accessed through email, OWL, and Student Centre using desktops, laptops, tablets, or smartphones, regardless of the operating system. The increased accessibility and flexibility of online questionnaires means more opportunities to foster student engagement with instructional excellence and course development in the Western community. Your Feedback exceeds Web Content Accessibility Guidelines and is compatible with current assistive technologies, making it accessible to all end users. Beginning in the 2017-2018 academic year, instructors, Chairs/Directors, and Deans will be able to include additional questions on Your Feedback. This means feedback can be customized for a wide variety of teaching and learning contexts. 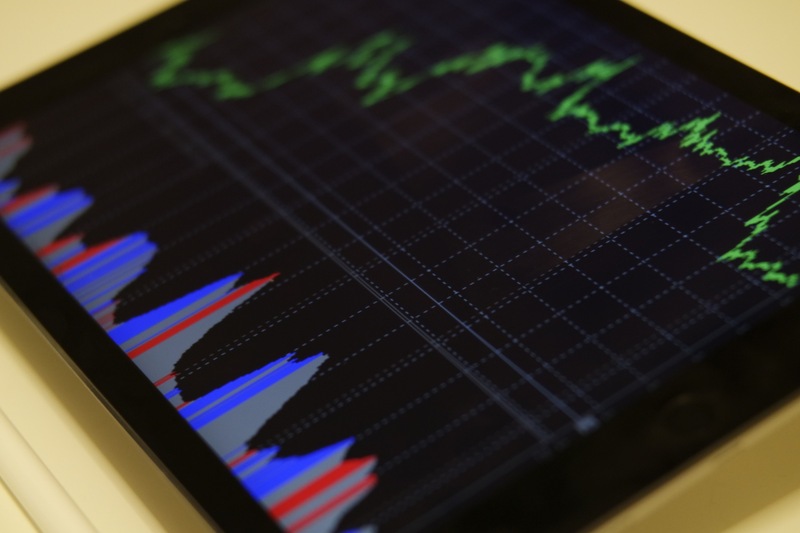 Data reports can be tailored to the course, department, and instructor levels. Your Feedback supports quick generation and dissemination of reports and feedback to instructors, Chairs/Directors, and Deans. 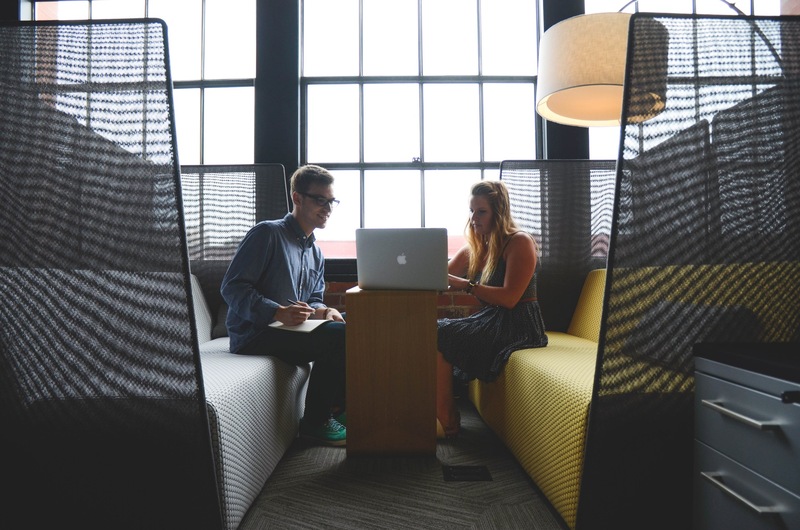 Your Feedback makes it possible conveniently to track overall course response rates (but not individual responses) in order to encourage questionnaire completion. ©2016-2019 Your Feedback, Western University.